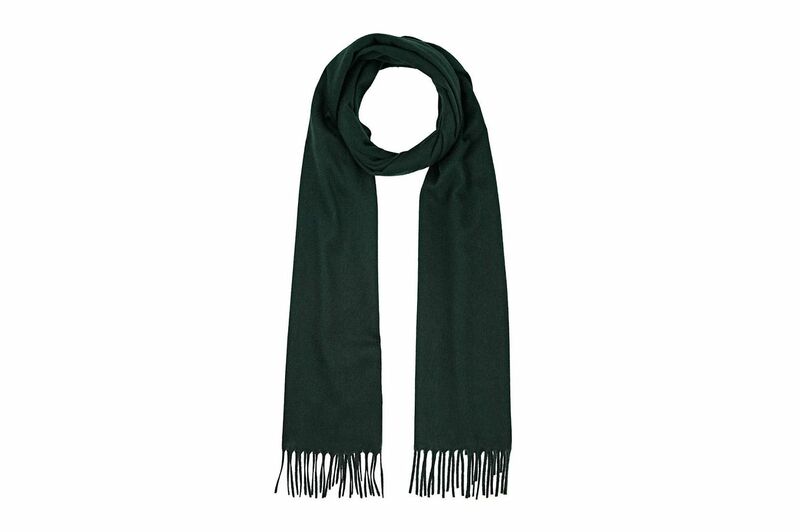 What’s the Best Women’s Scarf to Give? 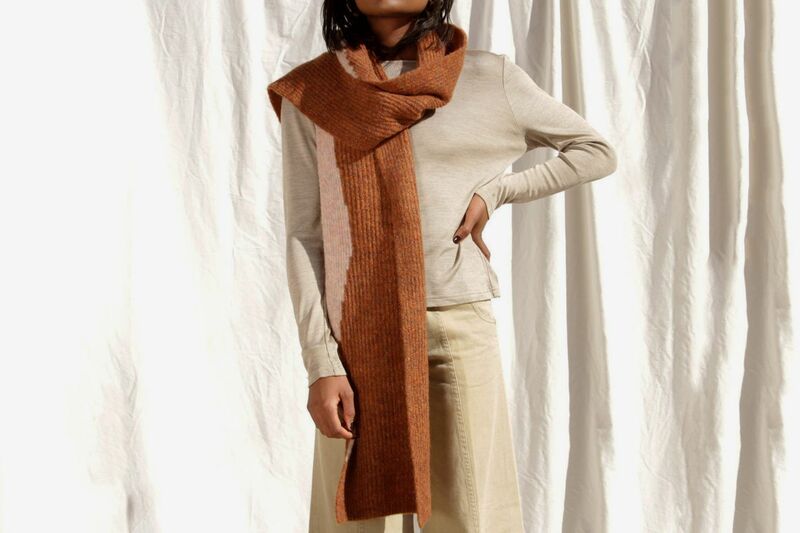 Our winner, the Paloma Wool Gianna scarf. Photo: Courtesy of the retailer. 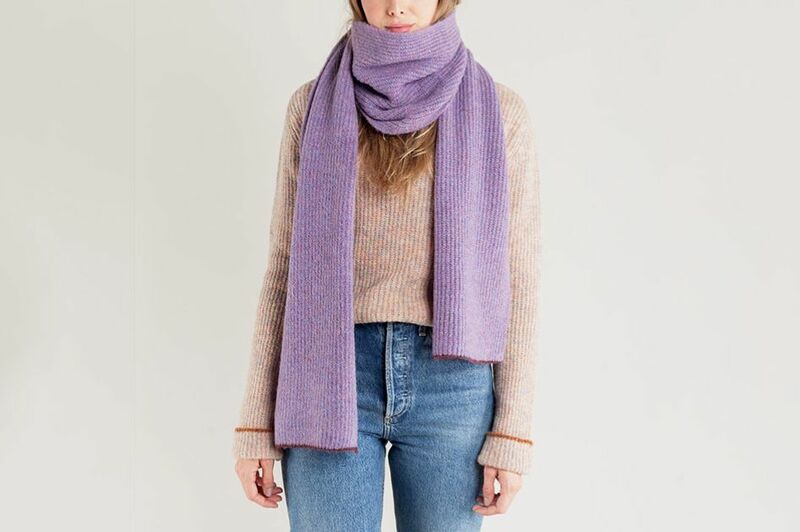 Where can you find the nicest scarf? Who makes the best cashmere sweater? Every year, around this time — like holiday classics on the radio — certain gifts become popular all over again. 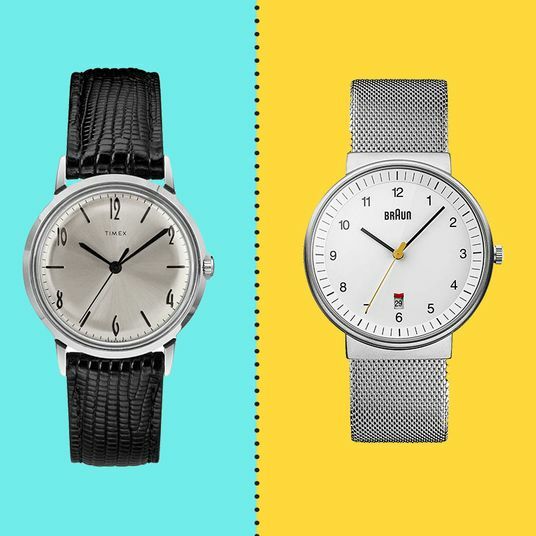 To determine the very best versions of those things, we’re talking to experts, adding our own opinions, and even testing products ourselves to find the greatest gift (plus several runners-up). 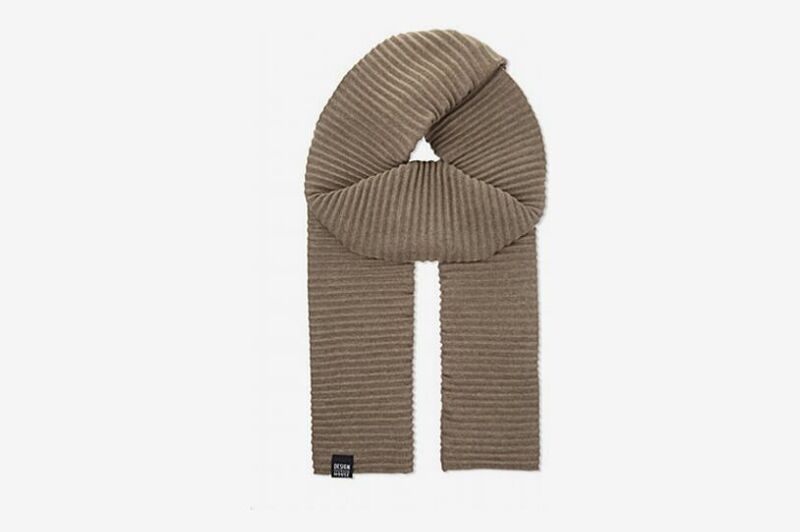 A scarf’s always a good holiday gift. 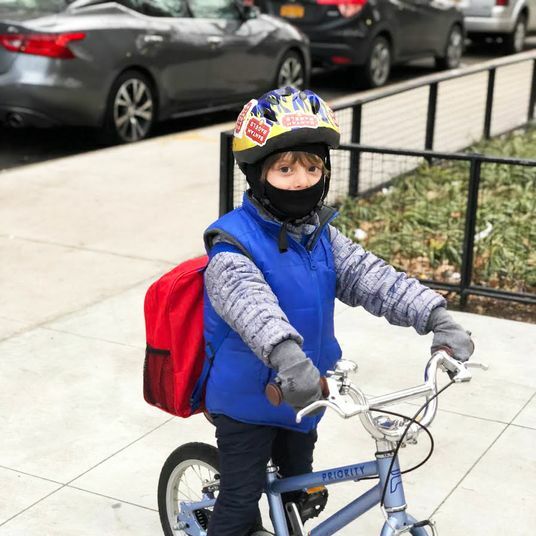 It’s practical, it’s seasonal, and it gets mileage from December through April. 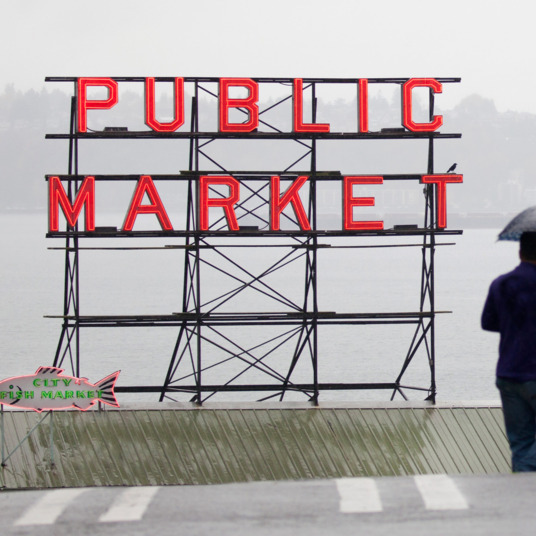 But with so many options out there, how do you find one that’s stylish, affordable, cozy, and just downright not-meh? 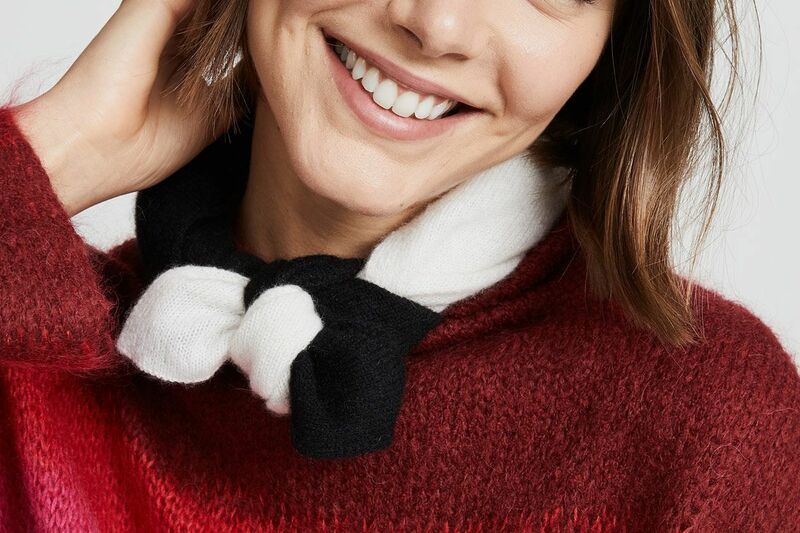 To guide us in our search, we consulted a panel of experts — from store owners to accessories editors to stylists — to get their take on the most “giftable” scarf. 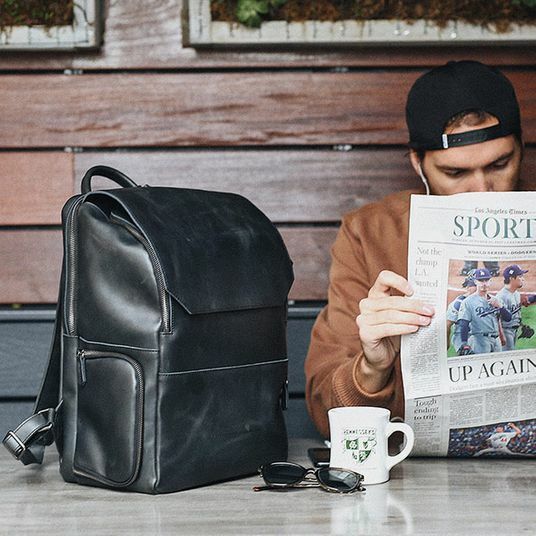 We then added a few of our own selections to round out the list, adding in some of our favorites as well as a few more affordable options. In the end, though, one scarf stood alone. 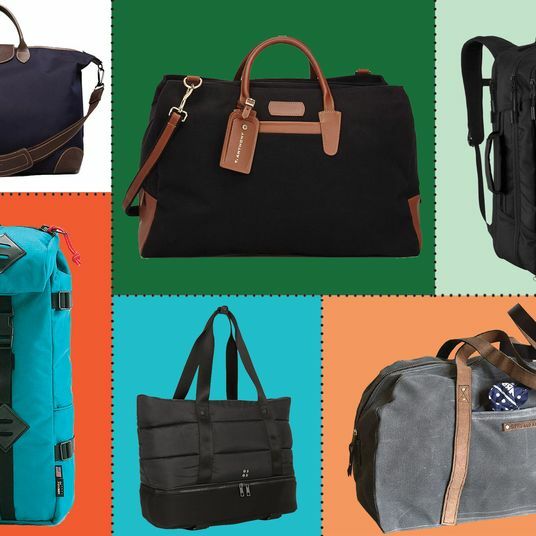 Don’t miss all of the Strategist’s holiday gift coverage right here, too. 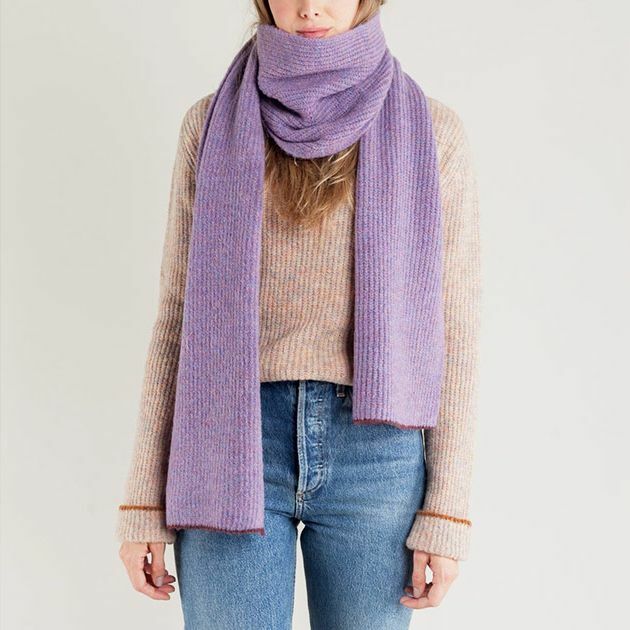 An early favorite was one from Barcelona brand Paloma Wool, known for its cozy knits and pastel color palette. Lisa Bühler, founder of independent boutique Lisa Says Gah, was the first to tip us off to the fact that Paloma Wool scarves would be big this year. 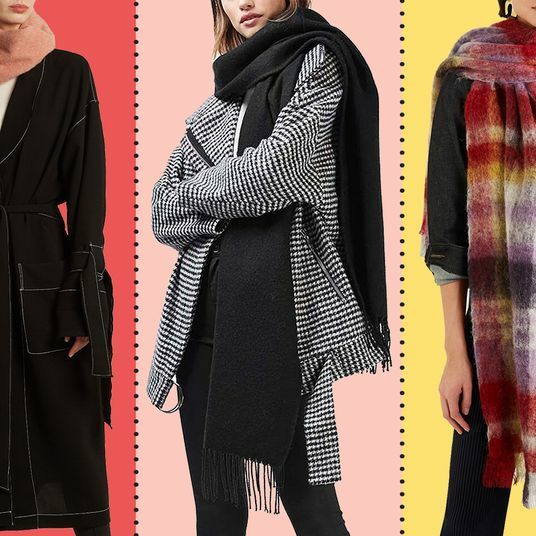 “We just sold out of some of them — a bit of a surprise so early in the season,” she says, and points to the brand’s thicker, chunky-gauge styles like the Gianna scarf as top sellers for the brand. 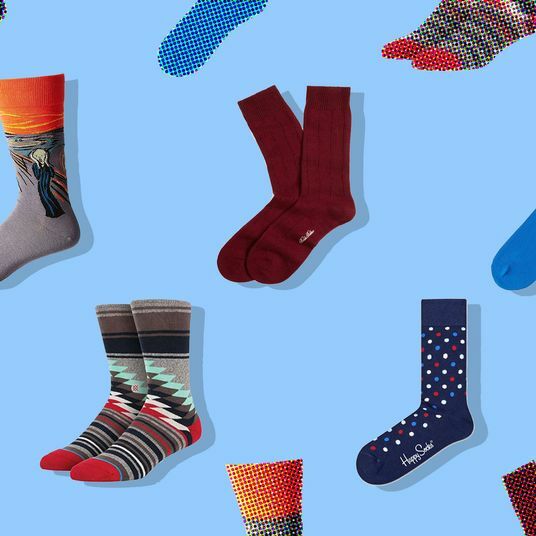 As a gift option, they also happen to fall in that sweet spot well under $100, which Garmentory co-founder Adele Tetangco and Mr. Larkin founder Casey Larkin Blond credit for how well they’re selling at both stores this year, along with their range of colors. “They’re an accessible price point, so it’s an easy buy. I love how long they are and the muted tones they come in are super wearable,” says Tetangco. 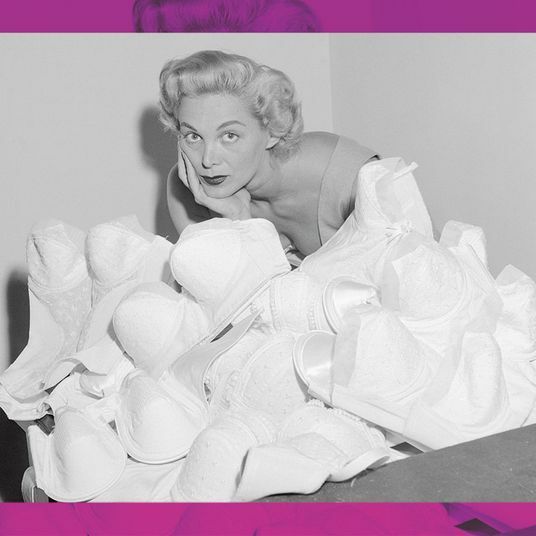 Editor’s Note: The lilac Gianna is now sold out, but it’s still available in this dusty pink color. Or, a two-tone Lua style if you wanted to give something with even more character. 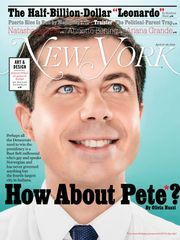 This version is slightly cheaper, too. 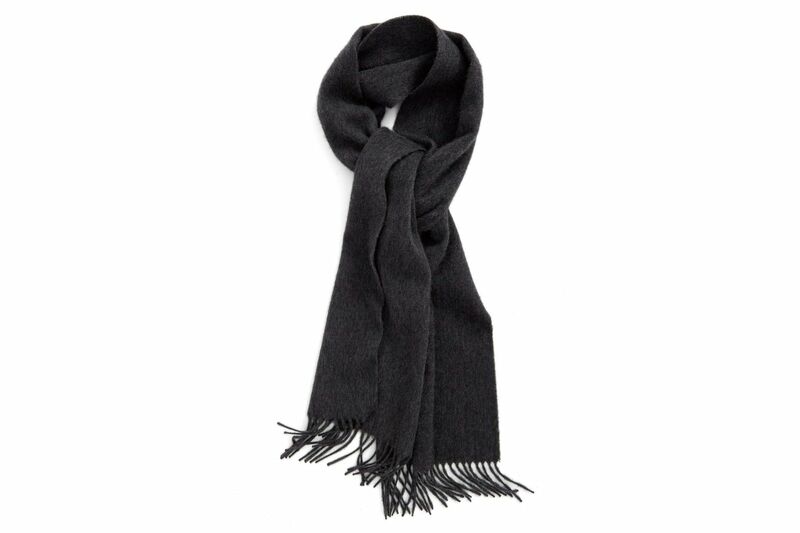 Beyond Paloma Wool pastels, a clear trend emerged: black-and-white scarves. 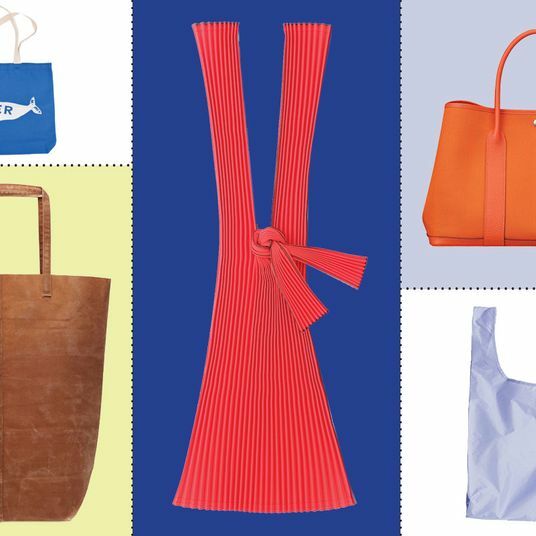 The color scheme is tremendously popular for logo-mania scarves and prints this year. They’re also giftable because they’re easy to match with dark separates and safe for people who don’t like color. 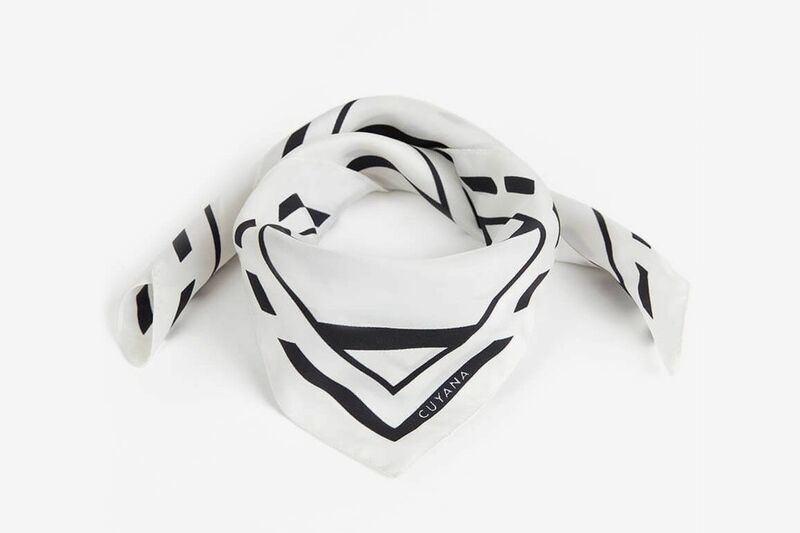 Barneys New York fashion director Marina Larroudé says she’ll be gifting this “fashion-forward and on-trend” bandana-print piece from Italian brand Destin this year. 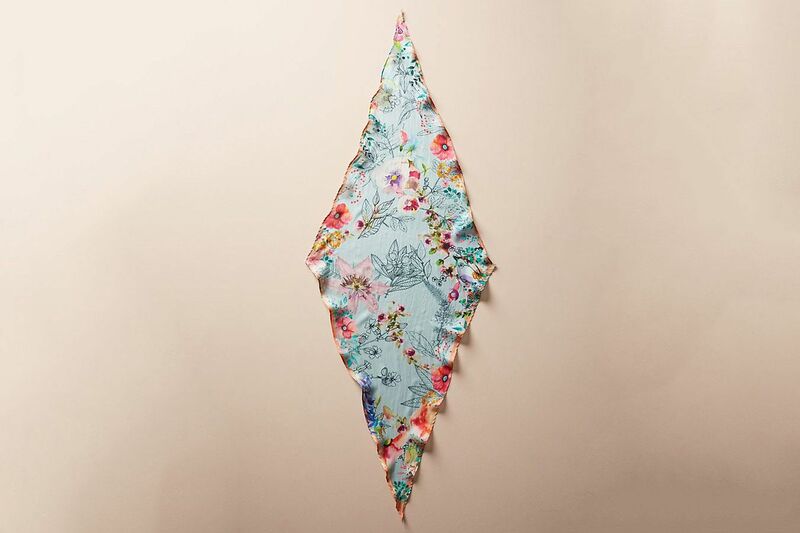 Stylist Sissy Sainte-Marie nominates HK Beachwear’s versatile silk squares as the best-quality scarf to give this year — she owns them in two sizes and colors (it comes in peach and with two black-and-white Bauhaus-esque prints) and adds that they can be worn as neckerchiefs, hair accessories, and sarongs. 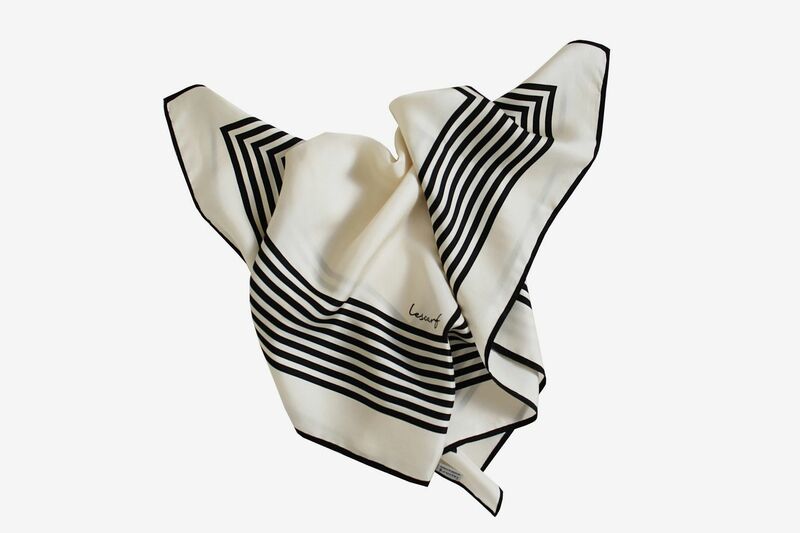 For those on a budget seeking black-and-white options, here’s a silky square we like that’s similar to the Le Scarf neckerchiefs. 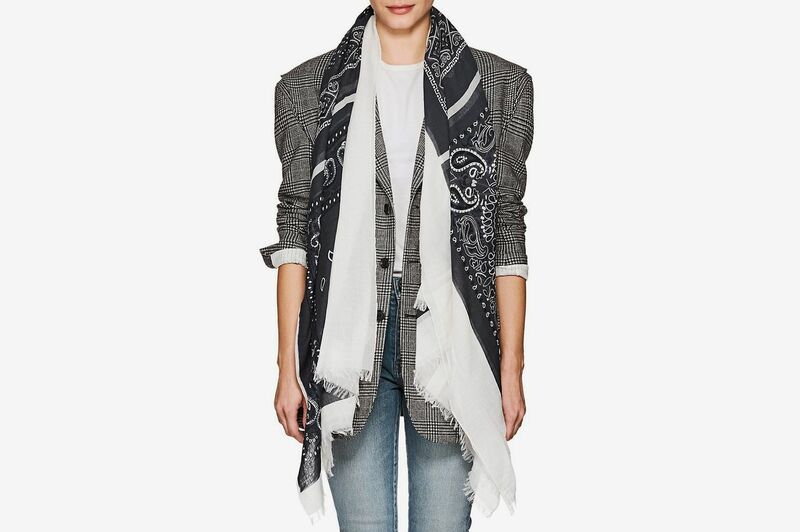 A black-and-white scarf print in soft cashmere. And an abstract print from Henrik Vibskov. 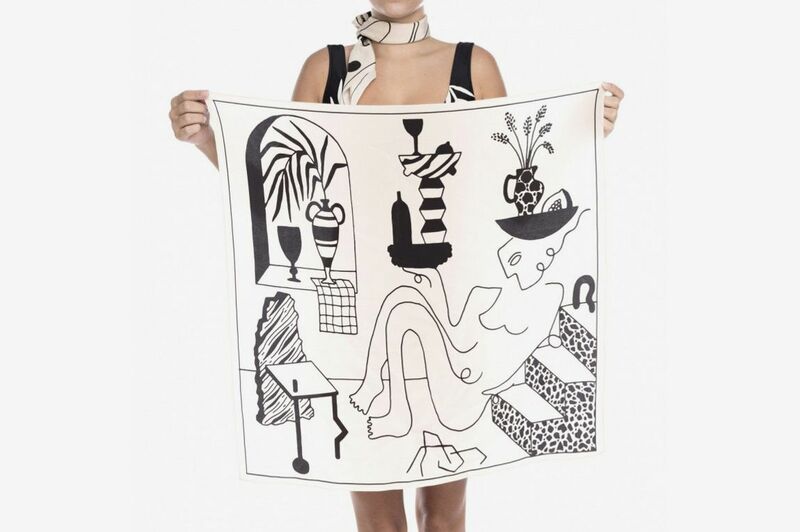 If you’re looking to give something you can layer, Tetangco likes this long, trailing silk scarf from French brand Seya. 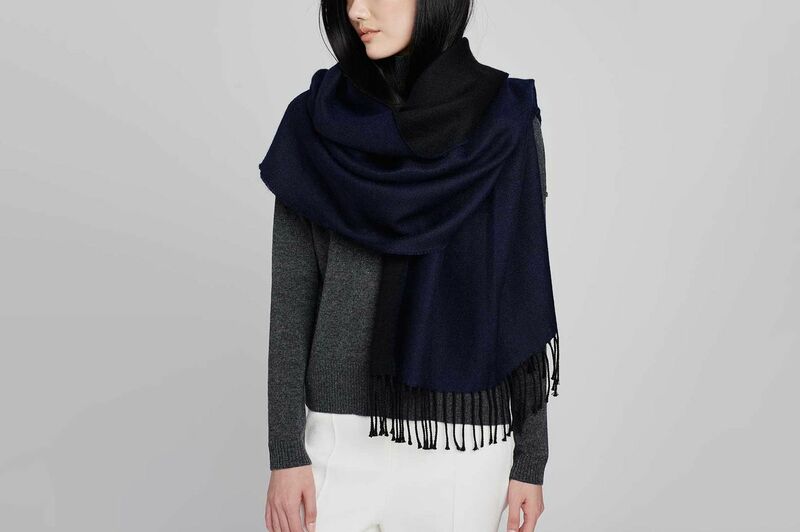 “I love how the Seya scarf is thin and long,” she says, “so you can wrap it around your neck multiple times. 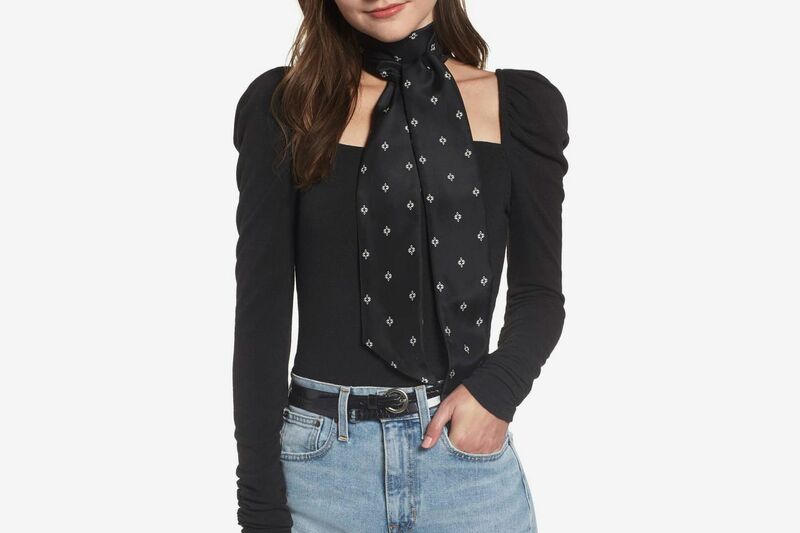 It’s like an elaborate neckerchief.” She adds that because it’s silk, it doesn’t look overwhelming or bulky when you wrap it multiple times. If you’re on a budget, here’s a similar skinny style we like for layering. 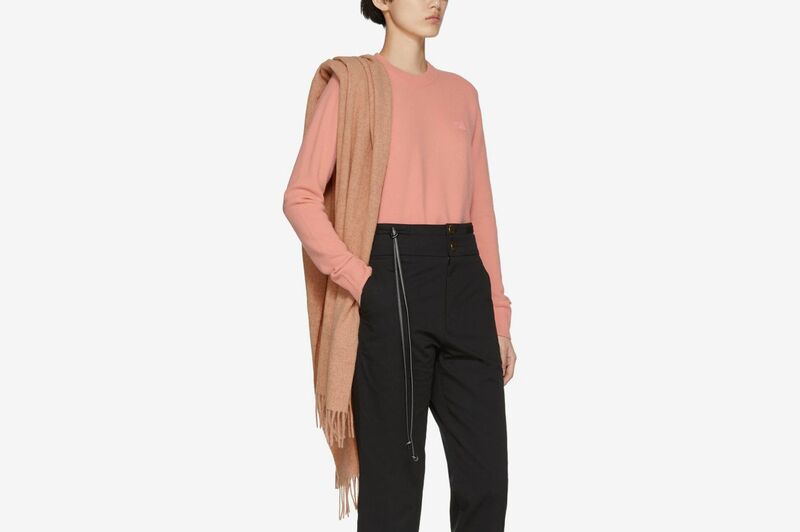 And if you’re stumped on scarves, but just want to give something that feels luxurious and warm, InStyle market and accessories editor Sam Broekema suggests this Eileen Fisher scarf: “I love everything Eileen Fisher, she is such a considered and considerate designer. 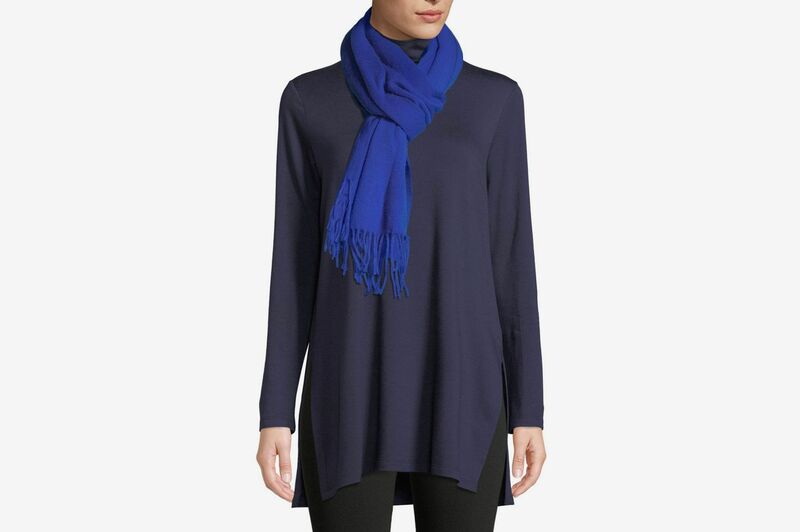 I actually have this scarf and get so many compliments on it.” It’s more of a cobalt blue, so it’s not a neutral, but it’s still a nice choice for someone who likes color. 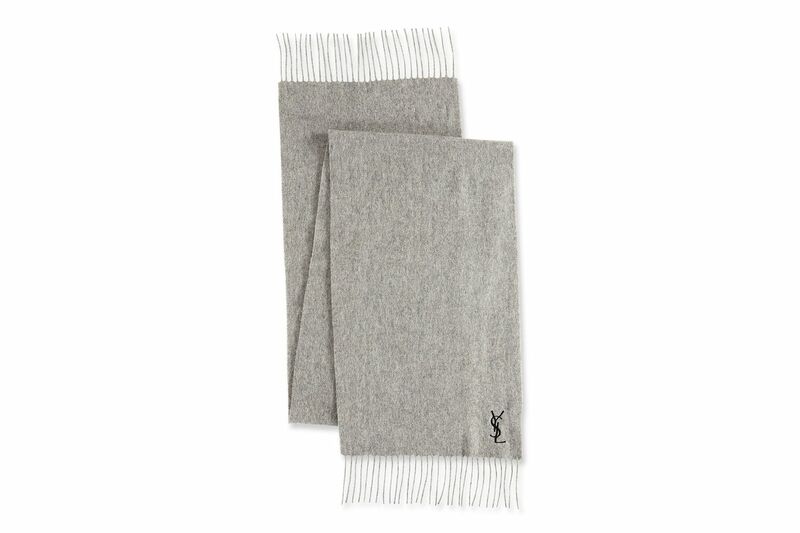 In this warm but luxe category, Acne Studios’ scarves sell out every year and make reliably good gifts. 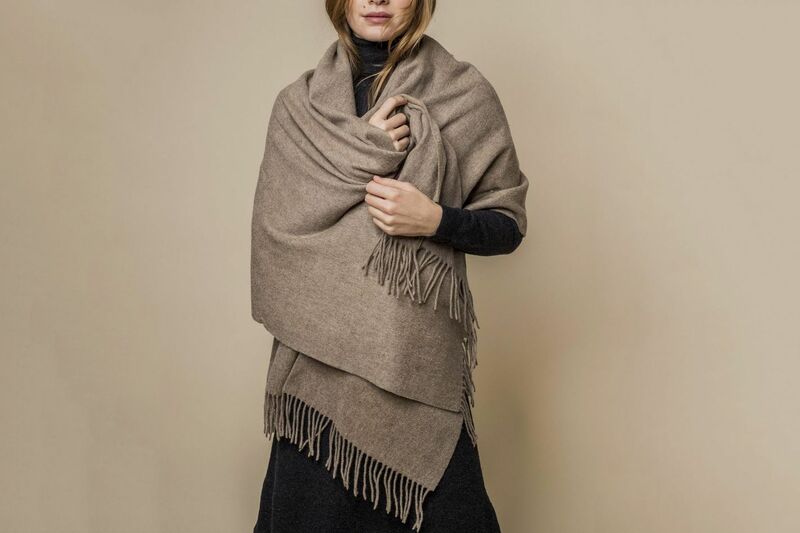 And if you want to gift a blanket-style scarf, here’s one we own that’s large enough to drape around your body and so cozy. It’s great for layering under coats when it’s cold because it goes with everything, and it falls in the same price range as the Paloma Wool. And another oversized scarf in baby alpaca. 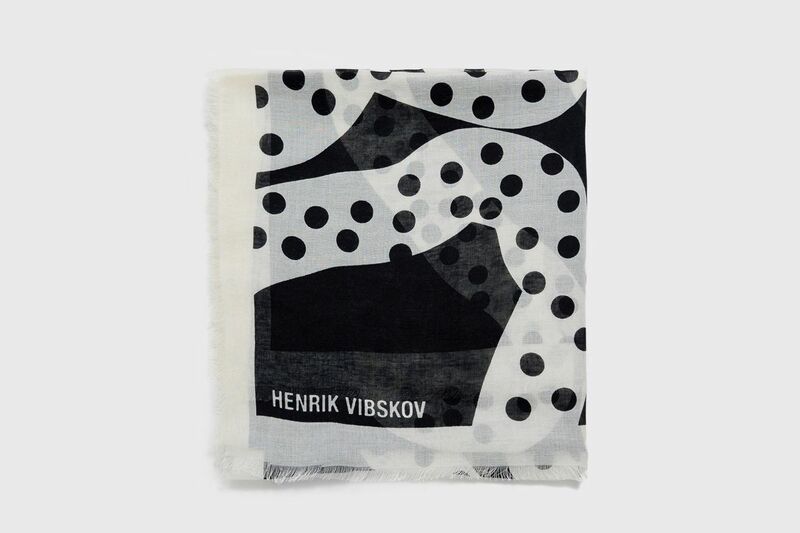 In the same category of cozy scarves, we’ve gifted this one from Design House Stockholm before (it has sold for 15 years in the MoMa Design store), and it’s always a hit. It comes in a range of colors, from black, gray, and navy, to this tan. 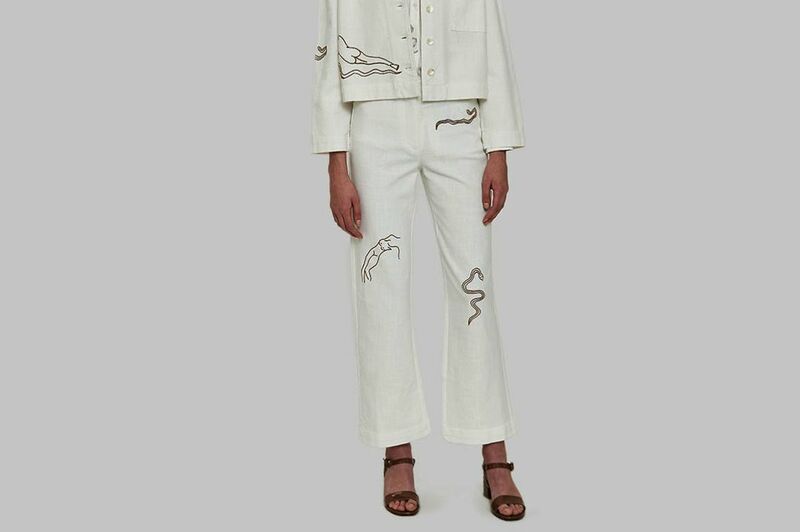 The pleats on this make it look very much like an Issey Miyake-on-a-budget, and the fleece is so soft and non-nubby. It’s great for draping around your face in the cold.